9 mm maximum chain projection. The areas highlighted in yellow must exceed 9 mm. The recommended minimum clearance is 11 mm. 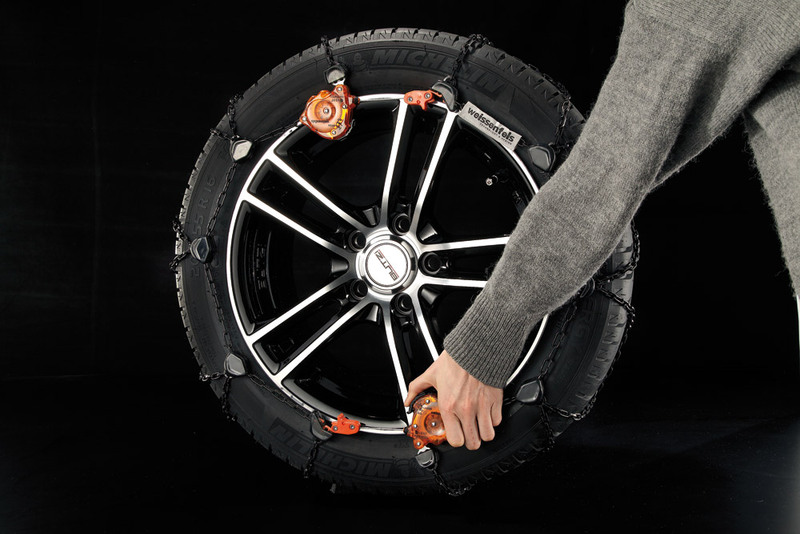 Weissenfels Clack and Go Protech is the perfect solution for trouble free driving on snow and ice. 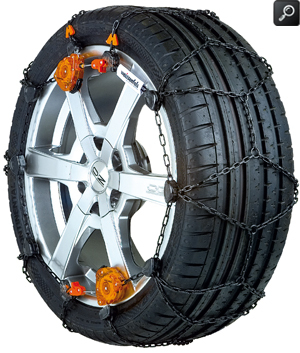 With virtually all other types of snow chains it is necessary, at least once, to stop the car to check and re-adjust the chains. Not so with the Clack and Go Pro-Tech model! The unique Clack and Go automatic double tensioning and self-centering system makes it impossible for the chains to come loose. 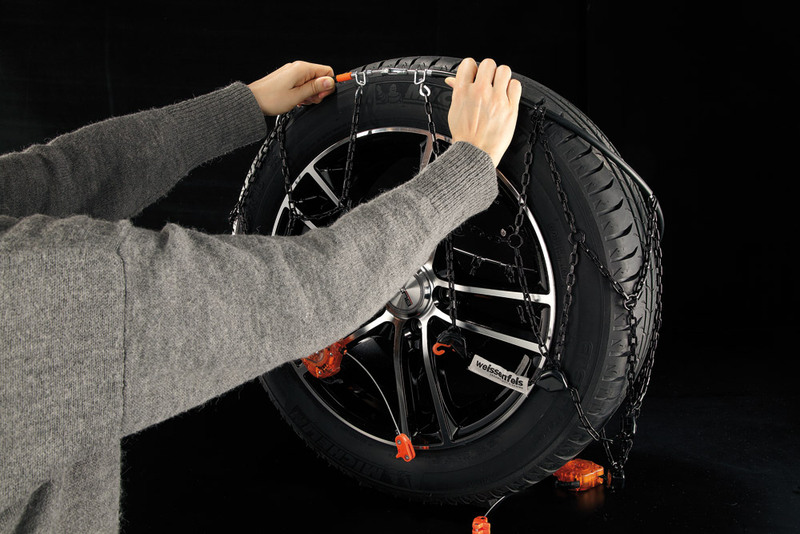 All snow chain parts are coloured in a special black finish and all parts, including the tensioners and chain that come into contact with the wheels are fitted with composite non-scratch protectors to protect the wheels. Just simply arrange them around the tyre, connect the cable ends and release the Clack and Go tensioners, drive away and forget about them until it is time to take them off. Automatic chain tensioning as you drive. Cannot come loose! 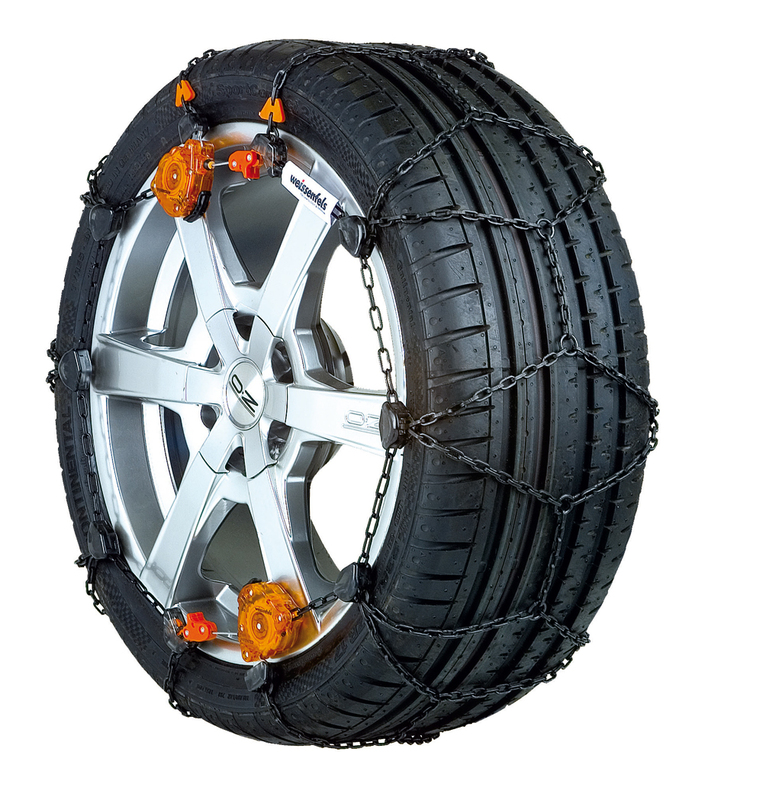 If you change your car and need a different size or type you can take advantage of our unique Weissenfels Clack and Go Pro-Tech snow chain exchange service. Weissenfels Clack and Go snow chains are supplied in pairs in a neat carrying case with illustrated easy to follow fitting instructions, spare emergency repair links and a pair of plastic gloves.